Complimentary A1 Service with $150 or more. 30 Minutes or less and no appointment needed! NSX additional cost. Not to be combined with any other discounts. Plus tax where applicable. Hazardous disposal fees, if any, are extra. Present coupon at time of write-up. Synthetic oil extra. AHM_251398_AA133F88 NSX additional cost. Not to be combined with any other discounts. Plus tax where applicable. Hazardous disposal fees, if any, are extra. Present coupon at time of write-up. Synthetic oil extra. $295.00 Not All Brake Jobs Are Equal! Prices may vary by model. Not to be combined with any other discounts. Plus tax where applicable. Hazardous disposal fees, if any, are extra. Present coupon at time of write up. Brembo brakes and NSX brakes are additional. AHM_251398_35D3285F Prices may vary by model. Not to be combined with any other discounts. Plus tax where applicable. Hazardous disposal fees, if any, are extra. Present coupon at time of write up. Brembo brakes and NSX brakes are additional. Help preserve your Acura’s exceptional handling. Prices may vary by model. Synthetic oil is additional. Not to be combined with any other discounts. Plus tax where applicable. Hazardous disposal fees, if any, are extra. Present coupon at time of write up. AL1 Prices may vary by model. Synthetic oil is additional. Not to be combined with any other discounts. Plus tax where applicable. Hazardous disposal fees, if any, are extra. Present coupon at time of write up. Keep out the dust and pollen! Prices may vary by model. Synthetic oil is additional. Not to be combined with any other discounts. Plus tax where applicable. Hazardous disposal fees, if any, are extra. RL slightly higher price. Present coupon at time of write up. AHM_251398_89F53 Prices may vary by model. Synthetic oil is additional. Not to be combined with any other discounts. Plus tax where applicable. Hazardous disposal fees, if any, are extra. RL slightly higher price. Present coupon at time of write up. Cannot be combined with Acura Rewards Card. Maintenance requirements, schedules and price may vary by model. Not to be combined with any other discounts. Plus tax where applicable. Hazardous disposal fees, if any, are extra. Present coupon at time of write up. 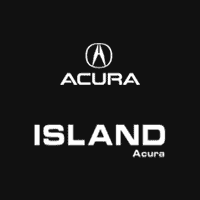 AHM_251398_373627 Cannot be combined with Acura Rewards Card. Maintenance requirements, schedules and price may vary by model. Not to be combined with any other discounts. Plus tax where applicable. Hazardous disposal fees, if any, are extra. Present coupon at time of write up. AHM_251398_3F586 Prices may vary by model. Not to be combined with any other discounts. Plus tax where applicable. Hazardous disposal fees, if any, are extra. Present coupon at time of write up.